November 2011 is Adopt an Indie month where authors and bloggers are coming together to discuss self-printed books as well as those published by small presses. There is also a chance for book bloggers to 'adopt' a book published in this way and showcase it on their blog, as well as have contact with indie authors. There are also prize draws for authors, bloggers and readers, and the chance for authors who missed this one to sign up for the second Adopt an Indie month which is happening in February 2012. Please do visit the site and share your thoughts, and maybe even adopt a book if you are a book blogger. 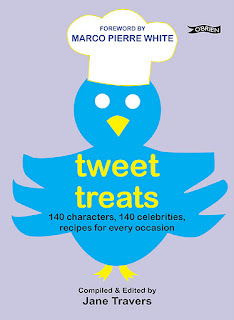 Tweet Treats - The Perfect Christmas Present! 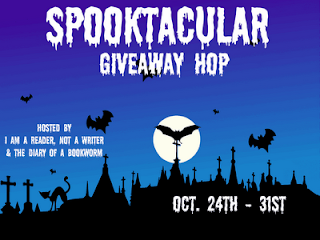 It is with great pleasure that I am playing host to the Tweet Treats blog tour today. This lovely little book is the perfect stocking filler, as it contains many quick and easy recipes from people all around the world, including 140 celebrities and is the perfect size to slip into a Christmas stocking. I have a few recipes in the book myself, keep an eye out for mine when you get your copy! Without further ado I would like to introduce you to the lovely Jane Travers. Without Jane, Tweet Treats wouldn't exist today. For anyone who has not yet heard of Tweet Treats, could you briefly describe what it’s all about? Thanks for having me, Rebecca! Tweet Treats is a project to collect 140 character recipes (140 characters is roughly 25 words) sourced through Twitter. I collected recipes from 140 celebrities as well as from ordinary people, compiled a book which has just been published by O’Brien Press, and I’m donating all the royalties to Médecins Sans Frontières. They’re an amazing charity, and I have huge respect for them. They provide medical care in countries stricken by war, famine and natural disaster, quietly and without blowing their own trumpet. They are utterly non-partisan in their dealings with people, and are funded entirely by voluntary contributions so that they are not affiliated with any country, religious institution, etc. I received recipes from all over the world for Tweet Treats and I wanted to involve a truly global charity; MSF was the obvious choice. You created the book via Twitter. So, for anyone who may be wondering, what exactly is Twitter? Have you met any of the celebrities who have donated recipes? If so, what were they like? I had to think about that for a minute! I feel like I’ve met so many people through chatting to them online, it can be hard to remember who I’ve actually met. I met Pat O’Mahony, an Irish celebrity – he actually agreed to launch the book for me, which was great fun! Pat is a good laugh and a huge lover of Twitter – he’s even made a documentary about it. I already know a number of the Irish writers who contributed, like Colette Caddle, Claire Hennessy, RF Long, etc. I’ll be meeting Neil Gaiman next month in Seattle and I’m crazy excited about that. How many new recipes have you tried since creating Tweet Treats? Do you have a favourite? Gosh, loads of them! I couldn’t give you a number. Last summer, when I was flat out collecting recipes, I tried a new Tweet Treats recipe almost every night. A few of them have become firm favourites, like Banana Nut Bread by @mduffywriter – I have to make large batches of that every time because it doesn’t last long in our house! What were the highlights and lowlights of getting Tweet Treats together? The whole thing was an enormous amount of fun, I’m happy to say! There were loads of little highlights along the way; getting the first celebrity (@Tracy_Chevalier, author of Girl With a Pearl Earring), getting a recipe from my personal hero @neilhimself (Neil Gaiman), and loads of other celebrities gave me a huge kick too! There was a low point in the middle of the whole thing, when I thought I was mad and would never bring the whole thing to fruition. I thought about giving up and that same day @PaulaAbdul tweeted me to ask how the whole project was going and when the book would be out. I thought, wow, if Paula Abdul can have an interest in this, then I’ve got to keep going. And I did. The highlights far outweighed the lowlights, I’m pleased to say! Would you ever create another fund-raising book? I’d love to. I love the sense of well-being and purpose that Tweet Treats has given me, and the fun I’ve had with it. However, the only things I’ve had published to date have all been for charity, so it’d be really nice to actually earn some money from writing for myself one of these days! What would you say are the most positive things that have come from using Twitter for you as a writer? The network of writers. There are a fantastic bunch of writers, agents, editors and publishers out there, chatting, joking, sharing advice and information, and occasionally having a good rant. Before I found Twitter I was sitting on my own in front of a computer screen, typing into the abyss; now I’m part of a wider community. Writing is a solitary business, but I’ve learned it doesn’t have to be a lonely one. I had been polishing off a novel (women’s fiction). I put it aside when I started working on Tweet Treats, but now I’m trying to finish it off and find it a home once and for all. I’m also working on a YA paranormal romance, which I’m hoping will be a trilogy. If you like the sound of Tweet Treats, head over to Jonathan Pinnock's blog as he is currently hosting a giveaway of a copy of the book. Today I am at a virtual launch party for Eighty Nine, the latest anthology in the Literary Mix Tapes series. This is a collection of short stories created around prompts from, you guessed it, the year 1989. Some of my friends are included in this book and all of the writers are superb. As you will know if you are a regular reader of this blog, Nothing But Flowers is also a LMT book and after working with the editor Jodi Cleghorn I would happily recommend anything she has worked on. You can join in the launch party on Facebook here: http://www.facebook.com/event.php?eid=175234282561950 and find out all about this collection. Buy Eighty Nine on Amazon.com by clicking here. 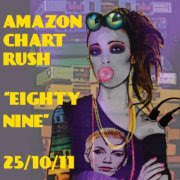 Buy Eighty Nine on Amazon.co.uk by clicking here. 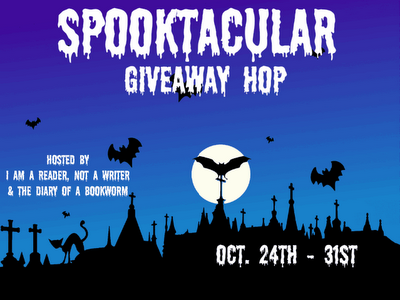 I am taking part in the Spooktacular Giveaway Hop which is being co-hosted by I Am A Reader, Not A Writer and The Diary of a Bookworm. All you have to do to be in with a chance of winning is leave a comment under this post. Let me know which of these you have done in your comment. This will stay open until the end of 31 October. I will announce the winner on 2 November. I am happy to send the book anywhere in the world. A very short post, simply to say please visit my friend D.J. Kirkby's blog today as she has set up a story chain and would love you to add to it. As a thank you for joining in, DJ will add your name as an entry in her Kindle giveaway, and your words will also be taken along to her book brunch which is happening at the Portsmouth Book Fest on 26th October. When I started at senior school I was the tallest in our class, I was one of only two in the year with red hair, I was shy and I needed braces. That was all it took. I was called all sorts of names like 'Duracell' 'carrot top' and 'Jaws' and as time went on there would be whispering behind my back and then nasty stuff said in front of my face. It got to the point where I didn't want to go to school, despite enjoying the lessons, and I didn't have a clue what to do about it. It was a teacher who discovered what was going on. She called me into a room one day and she said (I will never forget this), "You have a high IQ but your results aren't showing it. What is going on?" and I told her everything. The headmistress then dealt with the bullies (the process of which was terrifying to me as I was made to stand up in the middle of assembly while the ringleader named her 'gang' and included someone who hadn't done anything. I have felt bad about this ever since. This girl thought it was ME who had named her). Anyway, after this apologies were made, and the bullying stopped. 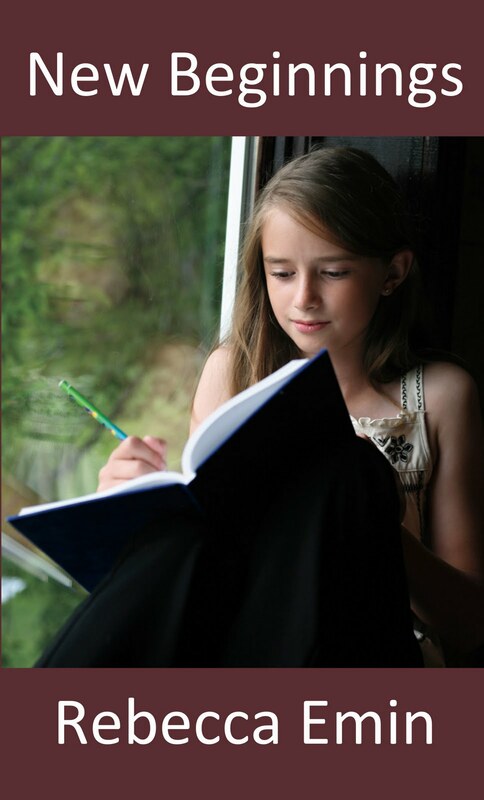 Why then did I find myself writing my debut novel about a girl who is bullied? Because even now, I feel the results of it. When I enter a room full of people I don't know, I instantly think none of them will like me. I am still more of a listener than a talker and I think some people think I am being anti-social or ignorant but it's because I am scared I will say something and be laughed at. This is thirty years later. Bullying is a damaging thing. Bullies may think they are being clever or even be hiding their own insecurities by trying to look 'hard' in front of their mates, and the worst thing is, it is going on ALL the time. These days with the internet there are places that can help, Bullying UK being one of those charities. I mentioned them in my book and I have always pledged to support them. I am donating 10% of any profit I make from sales of my debut novel to Bullying UK. New Beginnings has been received well so far by people ranging from 9 to 70+. It is the story of Sam, a girl who gets bullied as she starts at senior school, but finds ways to gain confidence and stand up for herself. Please help me to support Bullying UK if you can. There are buttons in the right panel of this blog if you would like to order a copy. 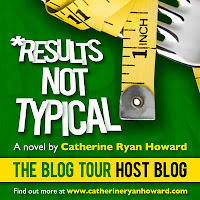 Today I am proud to be part of the blog tour for Results Not Typical by Catherine Ryan Howard. I have invited Catherine onto my blog for an interview and she has also kindly donated some copies of her book for a giveaway (please see at the bottom for the details). 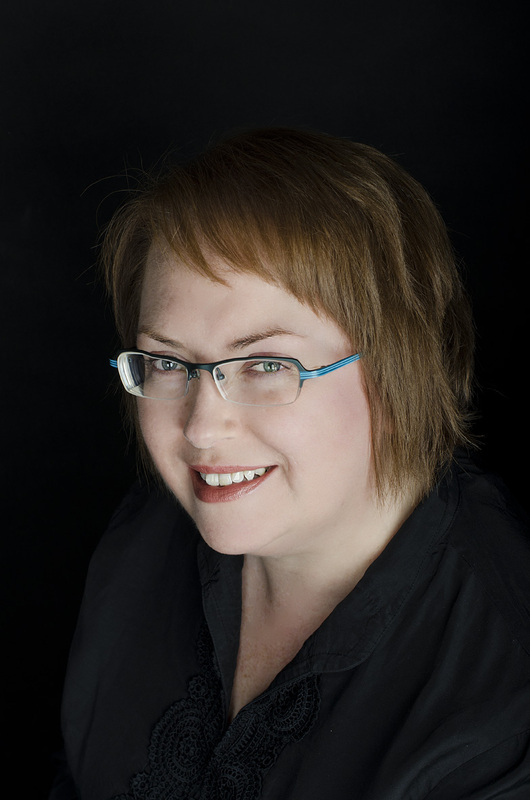 The Devil Wears Prada meets Weightwatchers and chick-lit meets corporate satire in the debut novel from Catherine Ryan Howard, author of the bestselling memoir Mousetrapped: A Year and A Bit in Orlando, Florida. 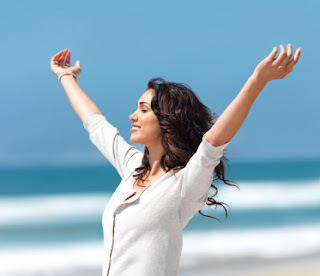 Through their Ultimate Weight Loss Diet Solution Zone System, Slimmit International Global Incorporated claim they’re making the world a more attractive place one fatty at a time. Their slogans “Where You’re Fat and We Know It!” and “Where the Fat IS Your Fault!” are recognised around the globe, the counter in the lobby says five million slimmed and their share price is as high as their energy levels. But today the theft of their latest revolutionary product, Lipid Loser, will threaten to expose the real secret behind Slimmit’s success...The race is on to retrieve Lipid Loser and save Slimmit from total disaster. If their secrets get out, their competitors will put them out of business. If the government finds out, they’ll all go to jail. And if their clients find out… Well, as Slimmit’s Slimming Specialists know all too well, there’s only one thing worse than a hungry, sugar-crazed, carb addict – and that’s an angry one. Will the secret behind Slimmit’s success survive the day, or will their long-suffering slimmers finally discover the truth? Available now in paperback and e-book editions. Hello Catherine and welcome to Ramblings of a Rusty Writer. 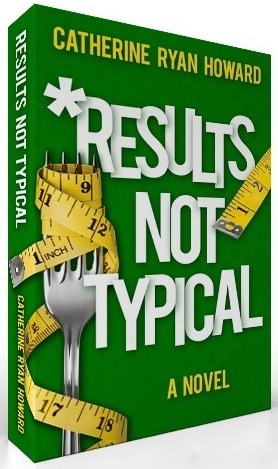 Congratulations on publishing your first novel, Results Not Typical. What inspired you to write this story? “Inspired” might be the wrong word! I’d always wanted to write a corporate satire, as that’s a kind of book I really enjoy reading. I also think that any environment which unconditionally accepts what otherwise would be considered lunacy (I once worked for an American company that had us all open “emotional bank accounts” and – it gets worse – make deposits in each other’s accounts as we saw fit) is ripe for mockery. In September 2009 I joined this scary cult-like weight loss clinic, and what I witnessed there/was subjected to/was traumatised forever by gave me an idea: a corporate satire set at an evil weight loss company. Could you summarise Results Not Typical for us in only five words? No, but I can do six: The Devil Wears Prada meets WeightWatchers. Do you draw on personal experiences when you are creating your characters and plot lines? Not so much for characters, because nearly all of the characters in Results have an air of pantomime villain about them. However I definitely drew on the odd WeightWatchers meeting I’ve attended and crazy diet book I’ve read for the plot. There’s one scene where the, ahem, “Fat Club” leader is describing how to make something she’s calling a pizza even though it’s as much pizza as a chair is by using a wholewheat pitta bread, tomato purée, a couple of button mushrooms and a dessert spoon of low-cal grated cheese. That sort of thing – being encouraged to go to extreme lengths to make tasteless substitutes for fatty food instead of just, hey, a radical idea, just eating healthy food – definitely comes from my own personal experience with these people! Your novel is all about a slimming company which leads to a very important question: What do you eat and drink while you are writing? Coffee and calories. Repeat as required. You have published three non-fiction books in the past. Could you describe Mousetrapped, Backpacked and Self-Printed for us in five words each too? Mousetrapped: Disney + Florida + (Dreams/Reality) = Happiness? Self-Printed: How to self-publish for realists. Do you find it easier to write fiction or non-fiction? Which do you prefer? I find it much easier to write non-fiction, because the story has already happened – you know what’s coming next, and how it ends. Plus I enjoy taking situations and mining their humour. I find fiction much more difficult to write because I tend to tie myself up in plot knots, but I have a much greater sense of achievement from writing it than I do non-fiction. Do you plan your books in advance, or write what comes into your head as you go along? I’m definitely a planner. Any excuse to waste a few hours messing around with different coloured pens and Post-It notes! Could you briefly explain, for anyone who yet to visit your blog, why you decided to self-publish your books? Originally it was because I had a book - Mousetrapped - that was liked and praised by every editor or agent I sent it to, but they all agreed that there was no market for a book about an Irish girl moving to Florida in search of pixie dust, Space Shuttle launches and dreams. When I found out about CreateSpace, I thought I might as well put the book up there, as I believed there were readers for it out there somewhere, and I didn’t want to leave it in a drawer. Now, a year and a half later, I’ve self-published three other books and am about a month away from hitting 10,000 books sold. The difference with me though is that I’m not campaigning for the death of books just yet; I’m still pursuing traditional publication and just think of self-publishing as a bit on the side. Hopefully some day in the future there’ll be something to put it on the side of! After reading Mousetrapped I would be very interested to know if you would ever go back and work at Walt Disney World again? Have you been back to visit since you wrote the book? I don’t think I’d work there again just because I’ve moved on now, but I would love to live in Orlando again, if only for the weather and the fact that there’s always something to do. I’ve been back twice – Eva (one of my best friends there) and I have been trying to go once every calendar year. This year we all met up in Europe but I hope to see Florida again in the new year. What next? Should we expect more novels or further non-fiction books from you in the future? I hope so! In the immediate future my attention is totally focused on writing a novel I hope to submit to traditional publishers, but after that yes, I do plan on writing more books to self-publish. I’m just not 100% what those will be yet! Or if you would like to enter a draw for one of three e-copies of Results Not Typical, leave a 'pick me' comment under this post. This will be left open until 12 noon UK time on Tuesday 1 November. 3 winners names will be picked at random. Today I am guest blogging for the first time ever, thanks to the very lovely Sue who blogs at The Long and the Short of it. In the post I talk about the importance of having a platform, speaking from my own experiences. Please do pop by and visit. I have some very exciting blog posts coming in the near future. Firstly I am proud to be a part of Catherine Ryan Howard's blog tour for her first novel, Results Not Typical. 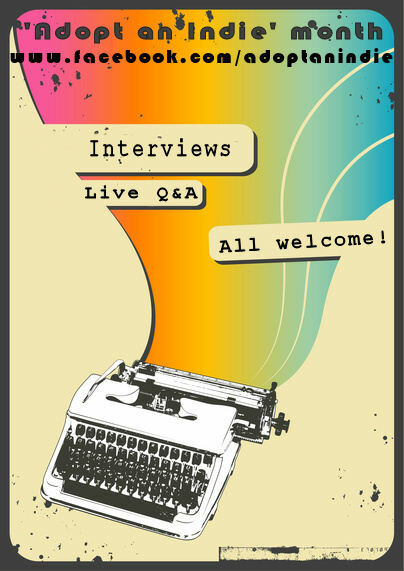 I also have interviews with some other authors lined up, which I am very much looking forward to. I won't say who just yet as I don't want you to get too excited. I have been asked to guest blog on two other blogs, these will be happening in the next couple of months. And finally I am proud to be part of the blog tour for Tweet Treets which is a fund raising recipe book which I have a couple of recipes in. All this on top of my usual ramblings! I had one of "those days" on Thursday. You know, where you're tired, you don't get a minute's peace, you have a bazillion and five things you want to do and no way of achieving them at that precise moment. And to top it all, a sore spot in your guts where you've been kicked by a rejection. Yes, it was one of those days. I was well and truly fed up. Downward spiralling and not sure how I would ever feel any better. And then I realised the story I had drafted for a magazine that I was really pleased with would never be submitted to that magazine as the publication I intended it for didn't accept work from new writers, I developed a migraine, and all three of my children had a complete meltdown in the middle of my favourite shop. I have never seen them all like that at the same time, it was horrible; shouting, shoving, yelling all at each other but ugh! So I vented on my social networks. They say a platform is vital to a writer, but in this case it suddenly became my safety net. On Facebook and Twitter I got instant replies from people who either felt the same or offered words of encouragement. I instantly knew, that despite those niggling suspicions, I was not alone. One of my Facebook friends, who is a fellow Ether Writer and also coincidentally I worked with back in the 1990s said on Facebook: "Some days you're the pigeon, some days you're the statue. This is a statue day." I have never heard this one before and it made me laugh so much. Just the thing. Since Thursday I decided to cut down my to do list in any way I could. I have removed myself from several online sites which I never used properly but had emails from all the time (LinkedIn, to name but one). I have done a lot of thinking about the next step for my second book and then in a completely coincidental fashion a good friend and fabulous writer sent me a very encouraging email. I was almost there by myself but her words tipped me into the "I will not give up" zone. I dragged my husband out of the house on Friday and we had lunch outside a restaurant; good food, gorgeous weather and a fantastic bit of city people-watching where I gained a few character ideas. Then I sorted something out that I hadn't even realised was bugging me. I polished some first drafts that I had sitting around on my desktop for weeks and sent them off to their various places. And I allowed myself a bit more chat time on Twitter. It's funny as I feel like a different person today but I wanted to write all this down so next time I have the black clouds hanging over my head I can maybe come back and read this and get back to how I feel today more quickly. I went out for a lovely family meal last night and during the conversation I discovered my Dad has read my book. I actually didn't think he would ever read it, so I am floating on clouds today. So the worst kind of day to the best in only three days. That can't be bad.